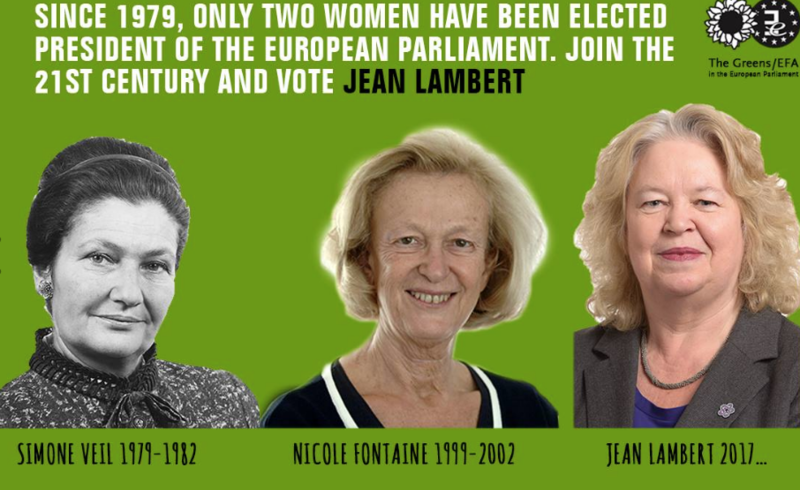 Jean Lambert is a British Green MEP representing London since 1999 and a campaigner for asylum-seekers, women and human rights. 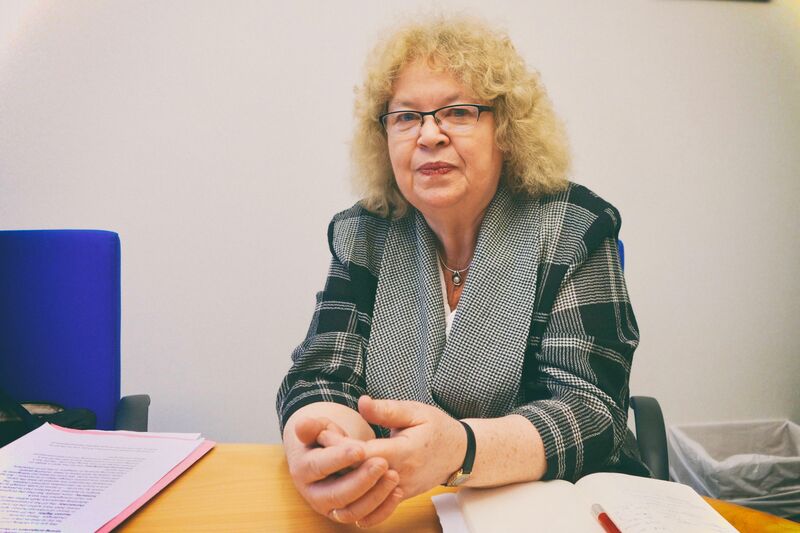 She spoke to euractiv.com’s Matthew Tempest. Putting aside the ‘Green’ politics, and even putting aside running as a woman, what is the point of any British MEP running for a job where they are all leaving in two years time? Well, when my group (the Greens/European Free Alliance) was discussing this, one of the reasons they thought it would be interesting to have a British candidate was to show that they still considered the British to be part of the European Union. That this isn’t the European Parliament in ‘punishment mode’ towards the UK, and I think – because I’m British – I actually see both sides of the Brexit negotiations. I can see what’s happening in the UK, or not happening. I can see what the potential outcomes might be. But also from the European side. And certainly I’m really determined that, whatever happens in terms of the British leaving the European Union, that departure shouldn’t harm the interests of the European Union. So I think, interestingly, as a president, I have both sides. Of course, Brexit is not the only thing the EU is concerned with, either. I certainly have no intention of ‘undermining Brexit’, or being an ‘outlier’ for the British government to make sure the EU gives the British the best deal. The only deal that’s going to work, is one that works for both sides. What ‘Green’ perspective or politics can you bring to a role that to many seems like a ‘lobbying Jean-Claude Juncker and Donald Tusk’ job, more than a policy job? 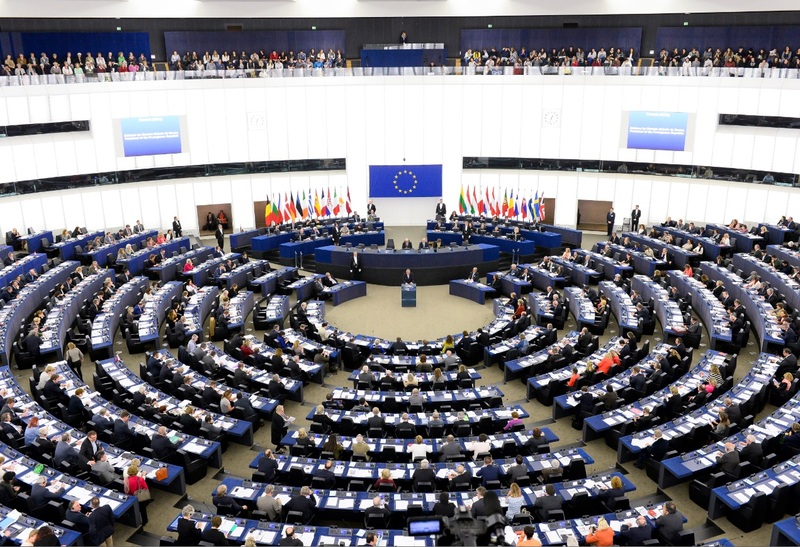 I think even if you’re looking at it as a sort of lobbying role, speaking for the Parliament, you also have an opportunity to set out some of the issues which are important for the Parliament in the question about the whole role of the European Union. There are four in particular we want to promote as Greens: human rights, democracy, solidarity, environmental progress. The EU has policies on this, it has a strategy on the environmental dimension, it signed up to the Paris Agreement, but from where we’re sitting as Greens, we think the EU is losing traction on this, it’s even at risk of losing commitment. When you see countries such as China and India now beginning to be much more ambitious on their policies on climate change, I think the EU has to make a choice, and the president of the European Parliament has the opportunity to make sure that is put on the table – to remind the Commission and the Council what they signed up to and to make it clear to the rest of the world that this is still something which really matters to elected politicians. I totally understand the argument that it’s more than overdue to have a female president, more than one in fact, but the same logic would say ‘let’s have Marine Le Pen as French president, because she’s a woman’. It can’t just be ‘because she’s a woman’? No. It can’t just be ‘because it’s a woman’. It’s not a question of ‘any’ woman to fill the role. But it is a question that, given the EU has a commitment to gender balance, the Parliament has voted on numerous occasions to say we want to see a better representation of women within the institutions at the highest level, we take the Commission to task on this and at times voted against proposals for the court of auditors because once again we’ve been presented with male candidates and no women. Therefore I think it’s a shame the bigger political groups didn’t take this on board. If they’re presenting a candidate, they need to have a very good reason at this point if their candidate is not a woman, if they are serious about redressing that balance. We’re not saying it always has to be a woman, and it’s not the only quality we [women] bring – obviously. It’s a whole set of things in terms of other qualities, experience, even whether people see you as being credible in the role, that matters. But at this point I think we can use more affirmative policies and say, all other things being equal, it should be a woman. The rejected bid of Italy’s 5 Star Movement to join the liberal ALDE group in the European Parliament has hugely reduced the chances of Liberal leader Guy Verhofstadt to become the next president of the EU Assembly, research shows. As you said, the Greens are one of the smaller political groupings. If you don’t win, where will the Green support go? Will you back the S&D candidate, Gianni Pittella, or the radical left GUE/NGL’s Eleonora Forenza? Well, it’s not clear yet. We’ve just finished our round of interviews of the majority of candidates who are standing, and we find ourselves in a very difficult position in terms of the candidates in front of us. There’s been this whole idea of trying to move away from the ‘Grand Coalition’, and from ‘you did it last time, now it’s our turn’. And also to have a President who’s committed to involving all the political groups, who doesn’t roll up at a meeting to tell you the decision was cooked up just outside it, so how do you involve the political groups better? And also, we’re aware of the political mood outside the parliament – and this is a role which is also external. Putting forward someone who’s one of the ‘usual suspects’, with a standard Brussels background, doesn’t really look as if you’re paying attention to the criticisms being made. So, for us, looking to move away from all that, it’s giving us some problems, given the predictions for who are the two most likely to be in the final round: the two biggest political parties. One of whom has more of a Brussels background than the other, but nevertheless, you’re not really moving away from what people think is the stereotype. [LAUGHS] I think when people are talking about a president who is not there just to push his own agenda but to reflect the Parliament and be inclusive of how it works, and the diversity…to look at the style of [his] negotiations, what we can see is that his political group was informed after the decision was made. My political group had a discussion about 5 Star and if we were going to approach them, and decided as a group that we wouldn’t. So there’s a difference in style there. So if you’re trying to tell us you’re going to do things differently from the current president, this situation with 5 Star is not the most convincing evidence to put on the table. The European Parliament’s Green group today (11 January) formally accepted its first defector from the 5 Star Movement, EFE learned. 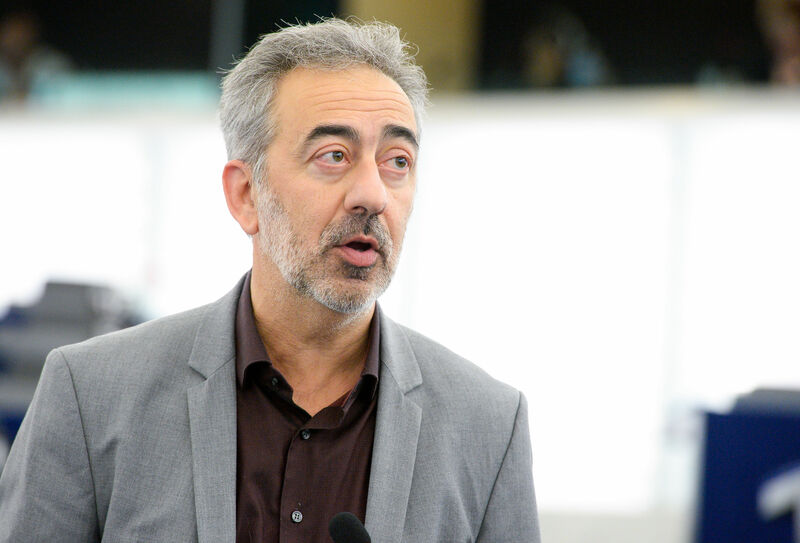 MEP Marco Affronte left the Eurosceptic EFDD group following his party’s rejection by liberal ALDE MEPs this week. EURACTIV Spain reports. That was in support of asylum seekers. Yeah, I’ve been in the Parliament four times, the same length as Nigel Farage – yet somehow I’m ‘Establishment’ and he’s not. But within that time, I think I’ve kept very close contact with civil society, grassroots organisations, day-to-day issues on anti-poverty, diversity, human rights. That’s my background. So, no, I haven’t been arrested, but I always say ‘I used to be a teacher, how do you expect the class to behave if their teacher gets arrested?’. Oh yeah! I have this air of tremendous respectability but, yeah, I still go on demos – whether I’m speaking on them or not. If you’re president that might be more difficult because then in some way you’re representing Parliament by turning up. Today there’s a demonstration in London about Guantanamo still being open, which normally I would have been at. Final question: I want you to say one nice thing and one criticism (political only) about each of your rivals. First, your hard-left colleagues, Eleonora Forenza (European United Left-Nordic Green Left Group)? She’s a really committed feminist. Criticism? I think she’s running on more of a party-political platform. Gianni Pittella (Progressive Alliance of Socialists and Democrats)? I do find him approachable, and a number of his speeches in Parliament have been really good in content and direction. A criticism – the big one would be he’s been a major part of making this ‘Grand Coalition’ work for the last two and a half years, so it’s a little difficult to believe that’s all over now. Helga Stevens (European Conservatives and Reformists Group)? I think Helga is very dynamic and of course she is a shining example of how you can still be a really effective politician, whether you have a disability or not [Stevens is deaf]. She’s a real inspiration. Any criticism is more political. It’s more about being from a party that is more Eurosceptical. Antonio Tajani (European People’s Party’s Group)? A very effective chair of the European Parliament. But his experience is very much within the institutions. And as a former commissioner, it’s very difficult to say to the public his candidacy is moving away from that sort of institutional thing. Guy Verhofstadt (Alliance of Liberals and Democrats)? He’s certainly always interesting. But my feeling is sometimes he’s more interested in the political battle, which is not necessarily what you want for the Parliament president. She would protect the interests of the EU over those of Great Britain ?! Seriously hoping she stay in Brussels when we leave the pointless EU, we have no use for quislings.